Adams Autoworx your premier Castro Valley Scion service and repair center, so when your Scion needs some "TLC" we are here to help. 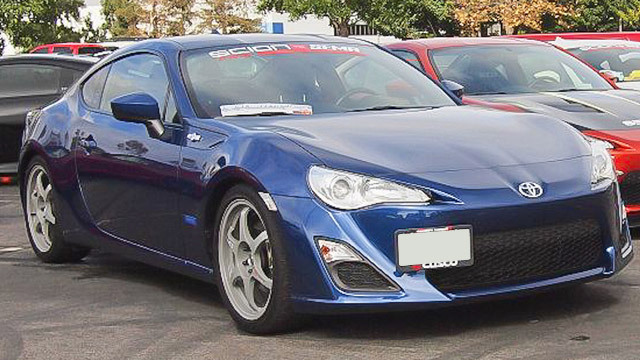 Toyota has discontinued Scion as a separate brand, but Adams Autoworx continues to support Scion owners. Our nationally ASE certified technicians will provide your vehicle with superior diagnostic and repair services. We honor Extended Warranties - we can work with most major extended warranty contracts - we initiate claims, deal with adjustors, handle the paperwork, and arrange payments – all for your convenience. Adams Autoworx is a full service Castro Valley repair shop, so in addition to Scion manufacturer recommended services, we provide advanced diagnostics, and major repairs. Here is a small subset of what we provide: fuel pump repair, brake repair, coolant leak repair, shocks and struts, brake pad/rotor replacement, electrical system repair, cv joints, air conditioning repair, AC recharge, water pump replacement, clutch repair, oil leak repair, exhaust system issues, evap leak, timing belt/chain replacement, serpentine belt replacement, emissions problems, radiator replacement, and of course, we can diagnose the “check engine light” and get the repairs done – usually the same day. Bring your Scion to Adams Autoworx in Castro Valley, and experience our friendly staff and superior customer service. Give us a call to make an appointment.